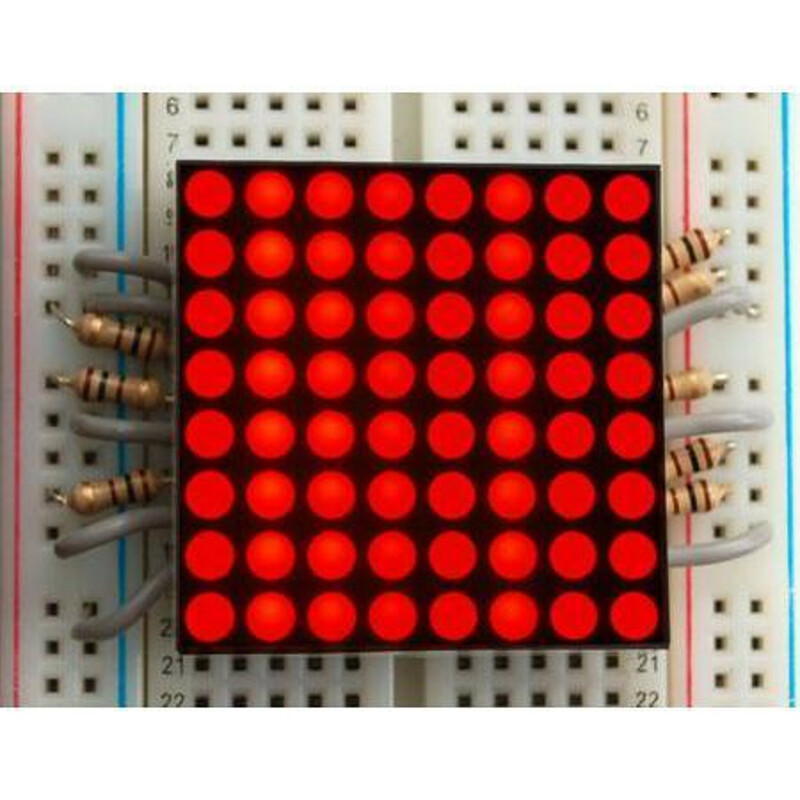 Make a scrolling sign, or a small video display with this 8x8 gridded LED matrix. 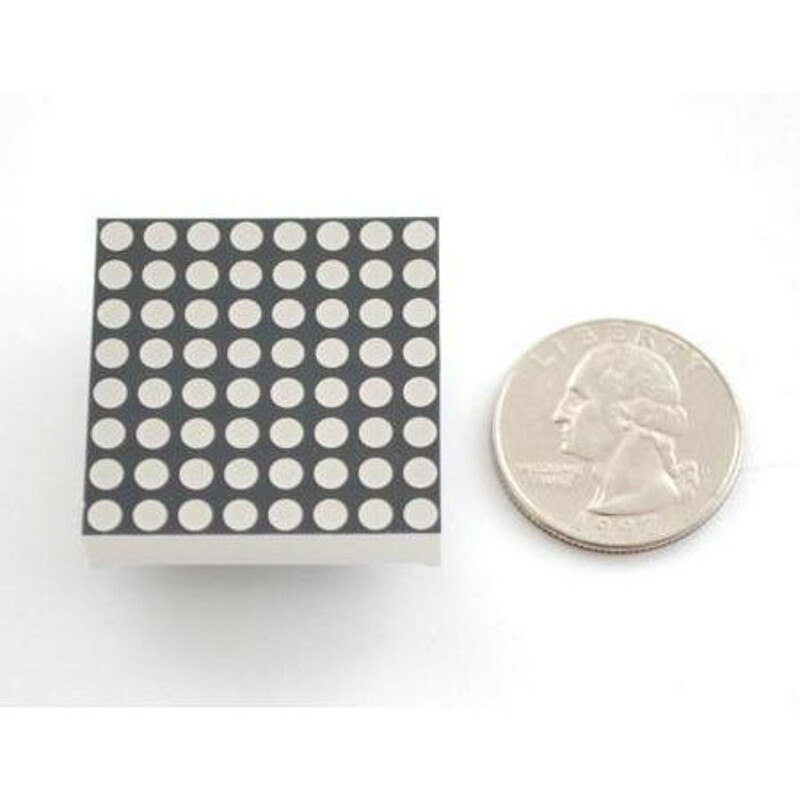 Perfect for arduino or raspian based projects. 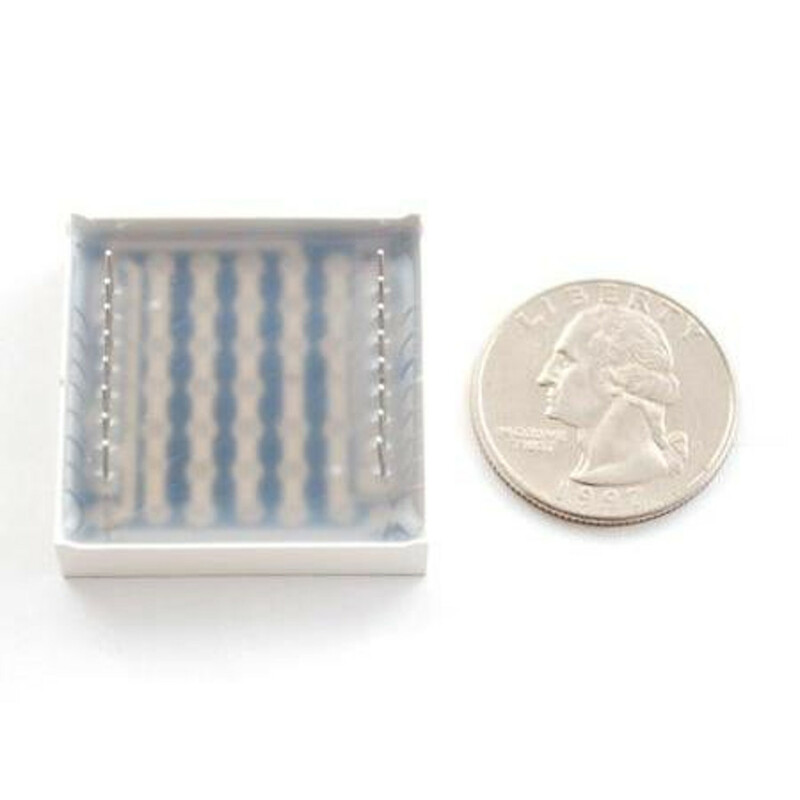 Only 1.2"" on a side, it is quite visible but not so large it wont plug into a breadboard. 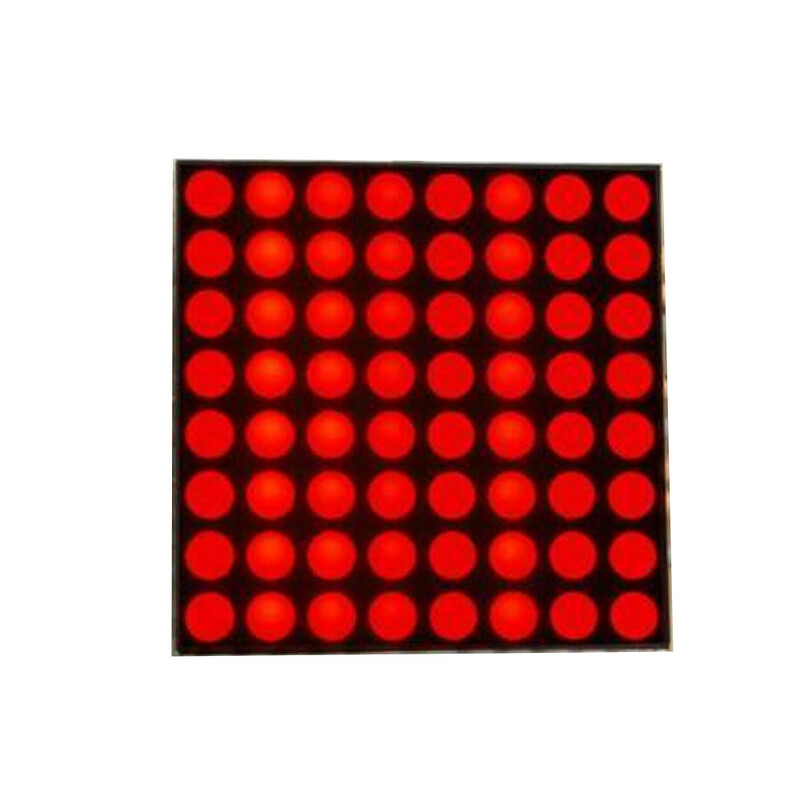 64 red 250mcd LEDs are contained inside the plastic body, in an 8x8 matrix. There are 16 pins on the side, 8 on each, with 0.1"" spacing so you can easily plug it into a breadboard with one row on each side for wiring it up.